Recent staging adding furniture to compliment what owner has. 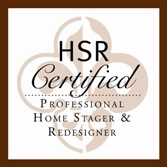 I am more than a home stager, think of me as Your Real Estate Relocation Coach. There are many reasons for moving, upgrading to a larger home, or downsizing after the kids are grown. Let me be your Real Estate Relocation Coach, I understand the emotions involved in selling a home and will guide you through the process, and make it fun! *I take the stress out of preparing homes for sale by guiding the owner, and implementing what needs to be done to maximize the potential of their home as an investment. *I understand the buyer demographic and real estate market for Bucks and Montgomery Counties and stage to attract buyers for your market. * Achieve a look that is similar to a model home, showcasing the homes features. *My expertise is in transforming what you already have and creating style, function and space in each room. *Work with all budgets to maximize the homes potential for sale. * Identifying and eliminating potential price eroding objections buyers may have before the home is listed. *Creating great first impressions and emotional connections, where buyers will feel “this is home”. *Connecting online buyers with fantastic photos. * Strive to make your home outshine the competition. “What can I do to love the look of my home”? *Rydel Interiors will make dramatic changes with all budgets. *Starting with what you have and love and making it better! *Creating style and function for your home unique to you and your family, that you will love! *Producing an organized, beautiful, stress free home! Call me to find out how I will help with your Bucks and Montgomery County staging and redesign needs.